REVIEW: THE MAN WHO KNEW INFINITY IS WORTH A WATCH! The Man Who Knew Infinity is without a doubt worth a watch because of the nuanced performances by the lead stars and how Brown has shown the heart-warming relationship of Ramanujan and his mentor-turned-friend Hardy, writes Namrata Thakker. 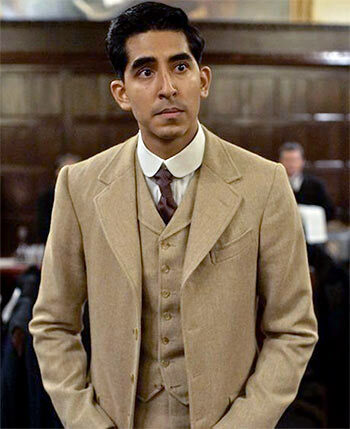 Director Matt Brown's The Man Who Knew Infinity -- based on the life of Indian mathematician Srinivasa Ramanujan -- is like any other biographical drama: engaging and informative. And for that very reason, this film is certainly worth watching. Yes, the film did remind me of James Marsh's directorial venture The Theory of Everything but only because it also celebrated another genius mind: Stephen Hawking. The Man Who Knew Infinity is about Srinivasa Ramanujan and his journey from Madras to Trinity college, Cambridge University. Ramanujan (Dev Patel) is exceptional with numbers despite having no formal education. But there is hardly anyone who understands his talent in Madras. Another reason why Ramanujan is frustrated is because he is jobless and has a wife and mother to take care of. Finally, the self-taught mathematician lands a accounting job where his mentor helps him in pursing his ultimate goal. When Ramanujan sends his work to renowned mathematician G H Hardy (Jeremy Irons) at Cambridge University, the latter is baffled by his talent and invites him to join his research work in UK. While Ramanujan is more than happy to work with Hardy, his stay in the Cambridge University isn't easy. He faces racial discrimination and physical abuse as the film is set in the World War I era. But he is determined to get his work done and braves all the adversities. Initially, his equation with his mentor Hardy is strictly restricted to their work. The two don't hit it off instantly but slowly they turn friends and in the process, achieve a breakthrough in the subject of mathematics. The film truly belongs to Dev Patel and Jeremy Irons courtesy their powerful performances. Their scenes together are a visual treat. Since their personalities are completely different, there are quite a few scenes where the two are shown at loggerheads and those are the best ones. The intensity that Patel brings to the character is commendable. Jeremy Irons as a not-so-friendly mentor and atheist is amazing. Kudos to the director for capturing their camaraderie beautifully. However, Patel's accent makes it a bit hard to believe that he is an Indian. Also, though he is suffering from gamut of problems, the director doesn't give much time to empathize with his character. His love angle with his wife Janaki (Devika Bhise) has been treated arbitrarily. There are few scenes which have the potential to hit you hard in face but sadly they don't, and that is disappointing. Toby Jones as Littlewood and Jeremy Northam as Bertrand Russell lend good support to the narrative and the film. Story wise, the makers have done a fine job to keep it to the point. Thanks to Matt Brown for making a film on this mathematician genius who certainly deserves to known in his own country. PS: At the end, the makers disclose a few more facts about Ramanujan and how his work made a difference and that just blew my mind. No wonder, I walked out of the theatre as a proud Indian.